For those working daily to treat addiction tied to the opioid epidemic in the Ohio Valley, resources have been limited. Beginning this week doctors will have a little more to work with. The federal government will allow doctors to treat more patients with buprenorphine, a medication that can help ease people away from addiction. While the science supports this treatment, some remain skeptical. Visits to three treatment centers in the region show the different approaches people in the recovery community are taking. In the fight against the addiction crisis, it appears there is no single silver bullet. In a Louisville halfway house for inmates and parolees, a group of men gathered to offer support to one another as they work through addiction in a Narcotics Anonymous meeting. James Sweasy stands up, offers an introduction and then begins his story. Until three years ago, he lived a life of substance abuse that began with drinking and escalated to more dangerous substances. Sweasy would eventually seek help in getting off the narcotics and went to a medication assisted treatment facility. Suboxone is a mixture of naloxone, the opioid-reversal medication, and a less potent opioid referred to as buprenorphine. Doctors typically prescribe buprenorphine to help individuals addicted to opioids detox and manage their cravings down the line. 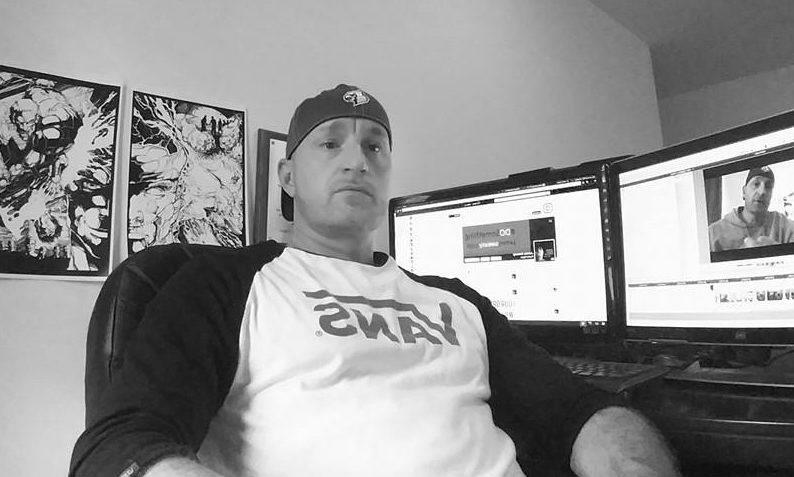 James Sweasy uses his social media site to encourage others in recovery from addiction. The U.S. Department of Health and Human Services is expanding timely access to buprenorphine. A new federal rule allows certified physicians to treat up to 275 patients with the medication, up from 100. This is important to those treating patients in rural areas who saw resources diminish while waiting lists got longer. Dr. Gay oversees the private, non-profit with eight outpatient behavioral health and addiction facilities to go along with two residential programs, all spread throughout southeast Ohio. Two of the programs are listed as certified opioid addiction treatment programs, using the three major medication assisted treatment medications –including buprenorphine– combined with psychosocial treatments like therapy and job training. Dr. Gay frequently gives educational talks to the community on medication assisted treatment, or MAT. He said the government has good science behind its decision to expand use of buprenorphine, with a body of studies showing the value of this approach to addiction treatment. A recent study from 2015 published in the Journal of Substance Abuse Treatmentfound those treated with methadone or buprenorphine were less likely to relapse into addiction than those being treated without. 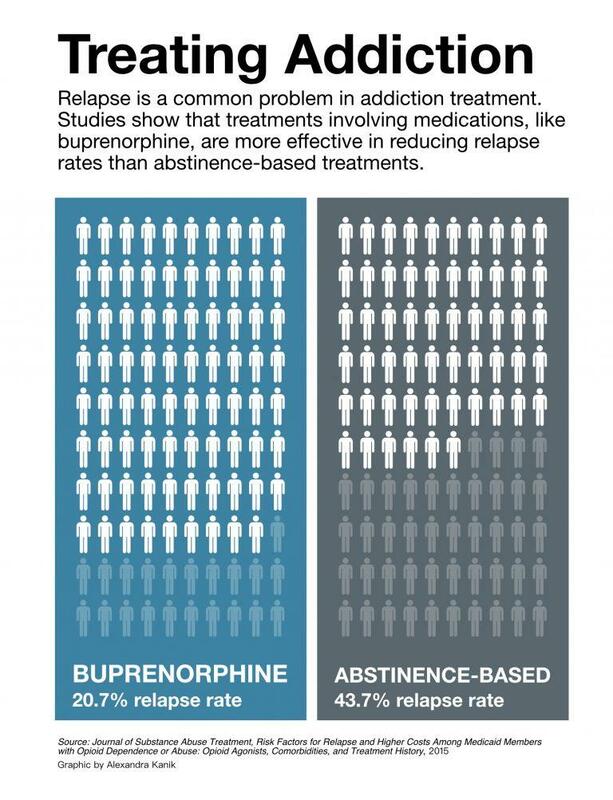 That resistance is largely due to the abuse of buprenorphine. Addicts have given the drug street value by using it to maintain their tolerance while getting stronger opioids –rather than completing treatment– and combining it with other substances to get a high. Hopewell Health Centers is expanding its MAT program to facilities throughout southeast Ohio with a different drug, Vivitrol, as the lone medication. Vivitrol –unlike buprenorphine and methadone– is not an opioid. It is injected into the body in 30-day doses and, once active, shuts off communication between opioids and natural receptors within the body, helping to manage cravings. In order to begin uses of Vivitrol, however, a client must be completely opioid free. By contrast, buprenorphine may be prescribed on the first day of treatment. The detox needed to begin Vivitrol can be a painful process without some assistance, and the resources are scarce in rural areas. “We’ve had to consider using a facility up in Canton, Ohio, which is about two and a half hours [away], in order to get a cost-effective, appropriate non-opiate transition onto Vivitrol,” Jiggins said. Jiggins said she thinks this may be why the government health experts favor buprenorphine treatment. Also, the body of scientific research supporting Vivitrol, while growing, is not as extensive as the research behind buprenorphine. 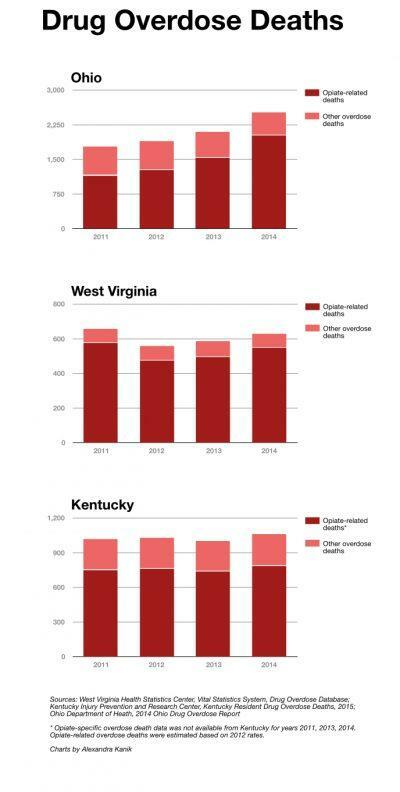 In Huntington, West Virginia, the opioid epidemic has hit particularly hard. Last year, the city had an overdose rate much higher than the national average, according to a report from the Robert Wood Johnson Foundation. Recovery Point West Virginia was founded in the city to meet the demand for treatment, adopting an abstinence-based model. Its three residential treatment facilities – with a fourth on the way — encourage clients to recover without medication. “We just believe at Recovery Point in total transformation without the presence of mood or mind-altering substances,” Recovery Point’s executive director Matt Boggs said. However, Boggs acknowledged that there are many ways to reach recovery. That’s a more flexible position compared with some other leaders in the abstinence-only community. With recovery resources scarce, Boggs said, he believes if one model of treatment doesn’t work, another should be sought. That’s an approach James Sweasy can agree with. The buprenorphine treatment did not work for him. After abusing Suboxone, he eventually got clean without medication. Today he is a father, homeowner, and social media personality advocating for recovery purely through abstinence. But Sweasy said he doesn’t think any treatment methods should be ruled out, and that medically-assisted treatments such as buprenorphine could work for others if administered properly. Science, however, does not suggest all treatments are equal. The new rule raising the cap on buprenorphine prescriptions and other provisions in the recently signed Comprehensive Addiction Recovery Act show that the Obama administration is acting on the evidence that medication assisted treatment is the strongest tool in the fight against addiction.